Welcome to #pimpmyreel - your free, online voice reel & voice demo surgery. Every month I'll put a #pimpmyreel call out on Twitter. You follow me & tweet a link to your voice reel or voice demo @soundswilde. I follow you and DM you 3 ways you can make your voice reel or voice demo more awesome. Each #pimpmyreel session will last from 2 - 8 hours depending on how much time I have that day and the number of responses. #pimpmyreel submissions will only be accepted via Twitter. The first #pimpmyreel will start on Sunday January 31 from 10am. See you there! And if you're wondering why you should listen to anything I say, have a quick listen to the voice reels & voice demos I produce. Happy International Women's Day everyone. "From a manufacturer’s perspective, failing to hire women is a serious blow to innovation" Why are there so few women in A/V? Nancy Cartwright is best known as the voice of Bart Simpson. Here's how her road to fame began as a 10-year-old boy. Do you have a healthy voice? Dr. Ann Utterback has 10 daily recommendations to follow. Why are creative women dismissed as "quirky"? It's been an an interesting year. Lots of challenges balanced by unexpected gains. The biggest challenge and change was moving my studio in the middle of the year. I've welcomed a more relaxed (and quiet!) space for my studio and a (slightly) bigger voice booth and the pleasure of finally being able to offer clients a cup of tea! (the previous studio had no kitchen facilities). I've missed working in Shoreditch more than I thought I would and although I've gained an extra 1.5 hours which used to be commuting time, I've lost a gym I loved (it's too far to justify a daily visit now) and a reason to get out of the studio! It's taken a diagnosis of severe Vitamin D deficiency to realise this is a bit of an issue. 2015 goal: more time outside, more sunshine. I did a lot less travelling than I hoped (none, save a trip to Hebden Bridge to host a workshop), and I also gained more friends than I expected. One of my 2014 goals was to make more of an effort to get out and meet people, and joining The Voice Over Network was one of the best business decisions I made this year. Thanks to all the voice over people I've got know this year, there's too many of you to list and you're all awesome. I also joined Sound Women, which has been on my list for a while, and I'm planning to get more involved in their events next year. Voice over can be described in one word for me: steady. I've added a few bigger names to my client lists (IKEA, Cap Gemini, Swiss Post, Bank of New Zealand) and I've had more work in Australian accents, which is something I've been working towards after deciding to embrace Antipodeaness in general. I've finally accepted that outside of Oz & NZ (and it hurts to admit this) we sound the same to most people. Voice reel production has really taken off for me this year. I reached my 100 voicereel milestone in October and it makes me proud every time I've heard about a voice reel client signing to a great voice agency, or landing a great contract with an audiobook agency, voicing a character in a video game or being chosen to voice a national commercial campaign. I'm flattered that Loud and Clear Voices have chosen to work with me this year as a preferred supplier, and I look forward to working with them (and United Voices) in 2015. And I wrote a bit for Actor Hub. Schedules and locations moves meant I produced fewer Sounding Wilde shows than I wanted, but we've built a solid foundation for expansion next year, with our show about voice agents proving our most popular one yet! I had a bit of a focus on passive income this year, which led to the creation of my Create Your Best Ever Soundtrack Ecourse, aimed at performers who want to learn how to edit their own music for their acts. I poured a lot of time into it and I've added new skills and learned a lot about marketing, so in terms of my personal growth alone, it was worthwhile. and created Arabic mobs from British voices for Warehouse of Dreams (Lion & Unicorn, November). I also contributed sound recording & mixing skills to the House of Burlesque season at London Wonderground. So that's it: my 2014. I've skated over the setbacks, the disappointments and most of the challenges, because I feel I've done a lot of sharing of the lessons I've learned throughout the year: in my regular Sunday Sound and Creative Business Tombola rondups, in my Working for Me series and in my twice-monthly Awesome Voice Over Stuff Newsletter. 2015 has already started for me, I'm sound designing A Midsummer Night's Dream at the Arcola and Boris Godunov at the Jack Studio Theatre, both of which open in January. After that, I have no idea where 2015 will take me. And that's just fine. I wish you glorious and safe NYE celebrations, wherever you are in the world, and a positive start to 2015. P.S. That's a Studio Ghibli soot devil in the top photo, in case you were wondering. I haven't replaced Bess the studio cat, she just wouldn't sit still! Is it Sunday again already? I've been in theatre-land this week, tucked away in yet another sound box checking levels & programming desks for the first dates of the UK concert tour of The Secret Garden. Every good sound designer/engineer/sound no.1/sound no. 2 (I am all of these on this show) needs a break now and then again to shake the frequencies out however, so I present to you...this week's lovely links. Is Lorde's song Royals racist? Does classical music have a "women problem"? What would you charge as the voice of Siri? What do crickets sound like when their sounds are slowed right down? Well, quite beautiful. Happy Sunday everyone! If you're working this weekend, I hope you make up for it by taking some time off later in the week. If you're not working, I hope you make the most of it. Modern life is very busy, sometimes we need to take space just to appreciate all its unique bits. And speaking of unique bits, I have lots of those for you this week. The TARDIS on Google Maps! I was desperately trying to write an intro this week that had nothing whatsoever to do with the weather...but it's too hot. Insert your own "hot news" pun here...or just skip to the links and enjoy. Amanda Palmer vs The Daily Mail. Amanda wins. "At any given moment in the UK, you’re never more than fifty feet from somebody that’s skanked to Derek ‘DJ Derek’ Morris." One of my favourite DJs, DJ Derek, king of reggae & dub, is retiring at the age of 72. Here's a lovely interview with him. Ever wondered what an instrumental song created by Damon Albarn (Blur), Flea, Nick Zinner (Yeah Yeah Yeahs), and Alex Kapranos (Franz Ferdinand) would sound like? No, me neither but the result is...interesting. Thinking about upgrading your mic? Check out this awesome voice over mic shootout first! An insight into the world of a top tier professional voice actor. Hello all, I hope the sun's shining where you are when you read this. No other words of wisdom this week, just the usual mix of sounds and words to enjoy. Hope you like. Bonus Rubin! Here's him and Jay-Z recording "99 Problems"
This week Beck performed Song Reader live at the Barbican, London with an impressive line up of musical stars including Jarvis Cocker, Franz Ferdinand and Beth Orton. Lots of videos here. It's my birthday tomorrow (hence today's header picture) when I will probably not be receiving dream presents of a U87 or Korg MS20-Mini (I do live in hope though....) but I am at least taking some time off from work! So in the spirit of celebrations, get yourself whatever beverage floats your boat, take a rest and enjoy this week's slightly whimsical roundup. The Museum of Endangered Sounds! Click. Enjoy. Slightly combative title but an interesting read from The Quietus: Is 2013 the year for militant feminism in music? Loving Kanye West's new album and desperate to know where that particular sample is from? Don't worry, someone made a list! As Doug Turkel said on one of the VO Facebook groups I follow, "Some superstar actors shouldn't necessarily be voicing commercials. THIS one should"
Interesting promo for The Voice Realm "the world's first online professional voice over talent agency"
Here's an interesting read: why aren't video game actors treated like stars? Hello! Have you had a good week, a hard week, or a long week? Whatever the case, I'm sure there'll be something in this week's roundup you can sit down and enjoy reading while having a cuppa - or a pint, if the sun's shining in your neck of the woods! Enjoy. For the Record: Women’s Audio Mission at 10 Years from The Bay Bridged on Vimeo. Bowie & Mercury, vocals only. Awesome. Speaking of voice acting for cartoons, here's a great Q&A with octogenerian voice actor Pat Carroll, the voice of Ursula from the Little Mermaid! T.S. Eliot reads "The Ad-dressing of Cats" (1947) from Old Possum's Book of Practical Cats which is these days better known as the inspiration for Andrew Lloyd Webber's musical Cats. Happy Easter Sunday! I'm slowly catching up with blogging after laptop death and replacement. Hopefully this will see you through the public holiday tomorrow if you have one, and the start of a new working week if you don't. RIP Phil Ramone, legendary producer. ..who shared a studio while at NYU with one of my favourite electronic composers Laurie Speigel. Speigel's work is now probably best recognised by the wider public as part of the soundtrack to the Hunger Games. Love the bit where she mentions having to keep her fridge turned off to keep her Electrocomp 200 in tune. Ah, vintage analogue synths. Get killer hip hop kicks in Protools? Yes please! Could you record a song in 2 days? It's the 40th anniversary of Dark Side of the Moon! This is the official music video for deadmau5 and Imogen Heap's track Telemiscommunications. The video was crowdsourced with input from 20 animators. Have you considered getting an iPad for scripts? Here's a look into how you can use it, including apps for marking up scripts. Loved this post about rejection therapy - something all VO artists can use at various times in their career! Happy Sunday, monkeys! It's an eclectic mix this week - a bit of Bowie, a dash of early electronic music, a closer look at voice overs for gaming and some very cool videos. Enjoy! 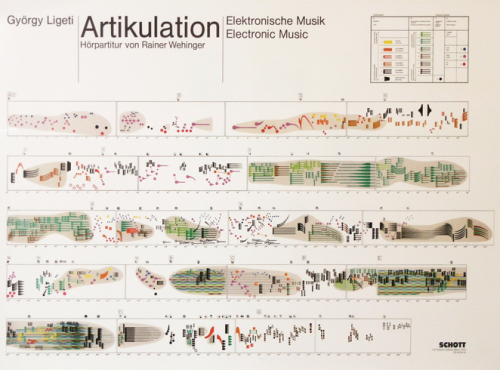 In 1958 composer György Ligeti wrote Artikulation, one of his only electronic works. In the 1970s, Rainer Wehinger created this "visual listening score" to accompany it. 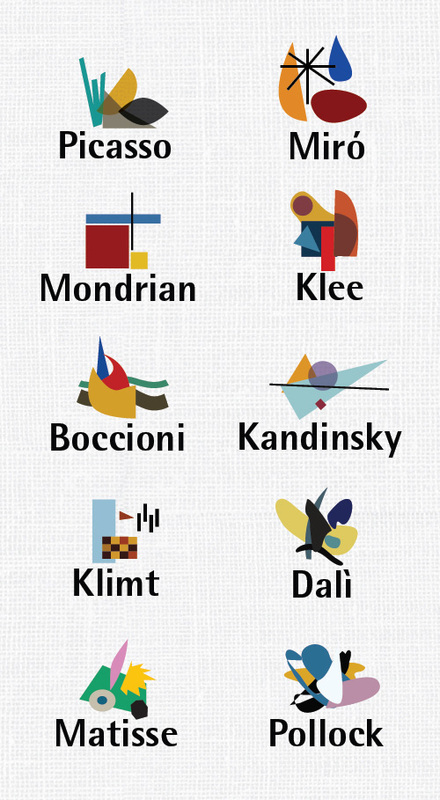 To me, it seems incomplete as a sound design representation (there's nothing to signify changes in the spatial field as the sounds are positioned left/centre/right, for example - although it's probable that Wehinger never intended it to be read in this way), but it's quite fun to see how Wehinger chose to represent the various sounds. It also gets you thinking what might future digital notation look like? NPR wrote a great article about the Barrons and their music (they continued to collborate after their divorce in 1970), which includes extracts from their compositions. "We live in a world where collaboration is everything" - Peter Oundjian. Toronto Symphony: creating a classical piece collaboratively with the city, its people and a composer, using social media. Good afternoon noise monkeys! How's your Sunday going? Here's a few interesting bits & pieces to lighten your day. This month's focus for Designing Sound is the intersection of sound design and music. As a sound designer I'm often asked if I'm a composer, or if I "do music too" and my answer varies as much as the question, so I'm really looking forward to reading what Designing Sound has to say on the topic - starting with this interview with Randy Thom. I had to share this photo of how Bottom of the Hill in San Francisco keep their SM58 windscreens clean. Click on the link to read the exact process on Facebook. With thanks to Women's Audio Mission and Paul Thomas. It was International Women's Day on Friday. In celebration & recognition, here are a few of the great international organisations promoting women in sound & music. Women in Music celebrates "women's music making across all genres of music. We raise awareness of gender issues in music and support women musicians in their professional development." Their site's What's On? section is regularly updated with upcoming musical events of interest to their readers. 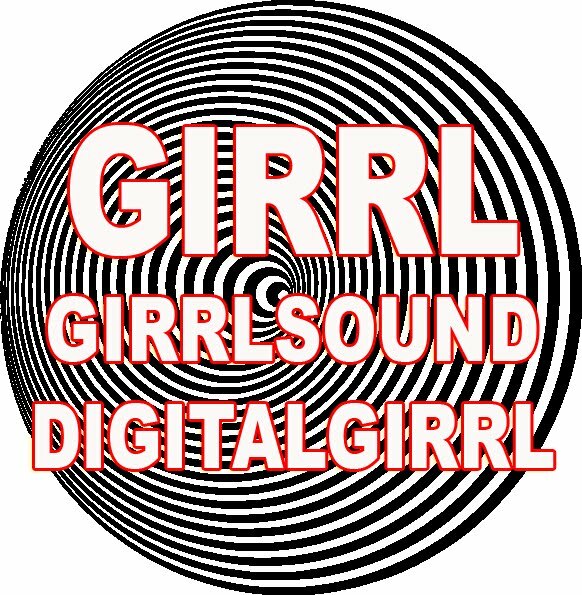 Sound Women is "a network of over 900 inspirational women working in audio. We are committed to raising the profile of the women who work in the radio and audio industry, and celebrating their achievements". They're holding an Ebay auction to raise funds for their (very popular) training events, workshops and schemes which they launched on International Women's Day - have a look at the awesome prizes on offer! "People will walk up to me and say 'oh my god! Do you know what all the buttons do?" Interview with live sound engineer Darryn de la Soul about being a minority in "a man's world". Have you seen Dave Grohl's directorial debut Sound City yet? I haven't, but I enjoyed two thoughtful reviews about it - one from Sonic Scoop and the other from Tape Op. If you've seen the film, what do you think? Stop comparing yourself to other talents. Always good advice! If you live in or have ever visited London, you will have heard the famous London Underground "Mind the Gap" announcements. This lovely story tells how one of the announcements has been reinstated so the widow of the voice artist can hear her late husband's voice again. When Marina met Ulay. Read about their story first, then watch the video. Heartbreaking, moving, human. It's chilly in London! I hope you're warm and dry, wherever you are in the world. All-star panel of professional concert sound engineers talk about everything from acoustics to the favourite outboard gear involved in running sound for the biggest music, entertainment, sports & TV shows around the world. REM's Losing My Religion - in a major key. Completely changes the impact. Dan Lenard's sensible answer to the question "what microphone should I buy?" With the last voice over workshop of the year being sold out I thought it was a good time to tell you about our January workshops. Becca and I have had a blast running these this year and we're excited about sharing our combined knowledge with more of you next year. And because it's coming up to Christmas...we've got a special deal on too! AND GET 1 HR EXTRA STUDIO TIME FREE! That's right, a whole hour's extra studio time to practice scripts with direction and feedback from myself and Becca - what an awesome kick-start to new skills and a potential new career as a voice artist for 2013! Details of the workshop are below and at the Workshops page on this site. If you have any further questions, please just get in touch, I'd love to hear from you. 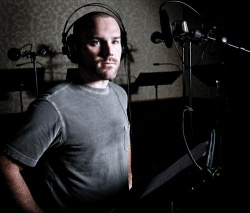 You don't have to have an agent to work as a voice artist! A fun and informative workshop focussing on how to establish yourself as a voice over artist working out of your own home studio. A fun and informative introduction to working as a voice over artist for actors and people with performing or acting experience. Last year I wrote about the London Cabaret Awards and all the shows and performers I had worked for and with who were nominated, and how pleased I was for all of them. I've written lots about my contribution to London Varieties this year (see alsohere,hereand here). It's a unique and special show and I am thrilled that Mat's hard work and vision has been recognised. London Varieties will be back in February next year with new and special stuff (which is as much as I'm allowed to say at this point...) Mat's also been nominated for an award as Best Speciality Act, double cabarati points! Massive congratulations to all the artists, events, productions and venues nominated for a London Cabaret Award this year. I've had the pleasure of another year of being involved in London cabaret and variety and I hope to continue to be involved for many years to come. sE Electronics supports Sounds Wilde: The power of Twitter! So you may have guessed from this post and this post that I'm pretty taken with my new sE Electronics Rupert Neve RNR1 active ribbon mic. This is one of the best examples of customer service I've ever seen. Not only is it flattering to have this support from the UK's no. 1 studio mic company, it's heart-warming to think they're as interested in my tiny business as they are in posh plush high-end studios and that they are happy to promote all of their customers. I'm already a very satisfied user of sE products but with this kind of service, they've gained me as a customer for life. All of this happened through Twitter, which should be enough to convince you to get on it! Back in early September I spent a few enjoyable days in the studio with Edwin Flay recording his voice reel. Edwin is an actor and escapologist with a lovely rich RP voice that can capture the very essence of Britishness (have a listen to his PG Tips ad above as an example) and cross effortlessly between characters as well. He's also a very accommodating chap who let me use his studio time to test my new RNR1. I do like actors like that! I talked about the purchase of my new toy in my previous post. Pesky things like financials have prevented me from buying a decent pre-amp which can properly handle the RMR1 yet, so I was reliant on the preamps of my Digi 003 box. I was again impressed at the warm quality of the mic, and it was perfect to bring out the resonance of Edwin's voice, but I did feel the lack of being able to decently boost the level without raising the hiss. If Edwin's voice was quieter it would have been more of an issue and I'll certainly need to look into preamps before I record any female voice artists. Here's a pic of Edwin in the studio, mid-recording. Note the sE Reflexion filter at work as well! I bought this some time ago specifically for voice recording, and it's served me well. The combination of the RNR1 plus that on the mic stand did take some balancing however, they're both reasonably weighty pieces of equipment. The audiobook/narration recordings were recorded using a C414 with an sE Relfexion Filter into Protools 8. The commercial recordings were mainly recorded using a sE RNR1 active ribbon mic with an sE Relfexion Filter and Protools as before. You can hear a single commercial recorded using the RNR1 at the top of the post. This is my new toy! Pretty, isn't she? It's been weeks since I last posted, how lazy! Here I am to remedy this.. In my previous post I wrote that I had a feeling that I would be leaving with an RNR1 active ribbon microphone before the festival was out...and true to form (once I've written it down, there's no going back), I did. When I saw that the lovely people at Red Dog Music had a sale on SE Electronics microphones and kit, I was tempted...and when they generously offered to let me borrow other kit to test the RNR1 out with, I couldn't resist. I plugged it up to the Roland UA55 Quad Capture USB interface and into my laptop, recording into Reaper. Listening back to my recording of the test, I can hear myself talking about the weight of the mic - it is pretty weighty, but that's what you expect from that much circuitry - how warm it sounds, and the amount of hiss. The hiss factor almost put me off, but some amount of hiss is to be expected with ribbon mics, and I was using it through a cheap interface, which was only running at full output level! A high-end pre-amp is definitely next on my shopping list, and I say this on my recording too. In the end I was won over by the warmness of the sound which, to my ears, still retained the level of detail I expect from a good condensor mic. I wasn't able to test the high end beyond the capabilities of my own voice, but what I heard, and the awesome price offered by Red Dog, was enough to convince me that this mic should be part of my collection. And how cool did I look coming out of the shop (and on the train back to London a week later) with my snazzy flight case? Pretty damn cool. The mic - and the case! - are truly things of beauty. Next post will be about me using it in the studio for recording. PS At the time I really wanted to tweet about how awesome the service and staff were at Red Dog Music but I couldn't find them on Twitter (I didn't ask of course...that would have been logical). I've now found them, so here they are: http://twitter.com/RedDogMusic. They really have the nicest, most knowledgeable staff of any music or audio store I've been in - and after 11+ years in the industry, I've been in a fair few. They let me and the members of the theatre company for whom I was working traipse through their shop continually for two weeks AND they sell great SE gear at great prices! Winner! They're also in the running to win Best Independent Retailer at the Music Industry Association Awards, and I know you've only got my word for it, but they do really deserve to win. Vote here to support!